Feeling pangs of jealousy when you look at others' rings? Here's how to handle that engagement ring envy. Ask anyone who’s ever been proposed to with a ring: Once the jewelry hits your finger, you suddenly start noticing everyone else’s engagement ring on planet Earth. Friends’, strangers’, celebs’ on social media, even engagement rings in catalogs... and even if you’re completely and utterly obsessed with your sparkler (or maybe you're not), it’s only natural to experience some ring envy, holding your sparkler it side-by-side against the others you notice in the world around you. There’s something about the fact that you only get one, and all of the meaning it holds, and how expensive they are, that make engagement rings especially vulnerable to comparison and envy. For most of us, they’re the most precious items we’ve ever owned—that can bring up a lot of feelings! So, if you’re recently engaged and dealing with ring envy, here are pointers to get you back into a better headspace. Understand where your ring envy is really coming from. Almost all of us will admit to having experienced ring envy at least once or twice in our lives, especially when we’re first engaged and becoming aware if everyone else’s engagement rings around us. If someone you know says they’ve never felt a flash of jealousy over someone else’s rock—not even Cardi B’s kajillion carat stunner—they’re probably fibbing. What differs among us is where the jealousy is coming from. Maybe for some of us it really is, “Dang, that diamond is bigger than mine!” but for some of us, it’s just, “Of course that one friend got the perfect engagement ring she’s always wanted, she gets everything!” or, “Sure would be nice to have been able to spend that much on a ring, but my partner and I are saving for a house!” If you can identify where your envy is coming from, it could be a lot easier to deal with. Because more often than not, it’s not as shallow as wanting what someone else has. 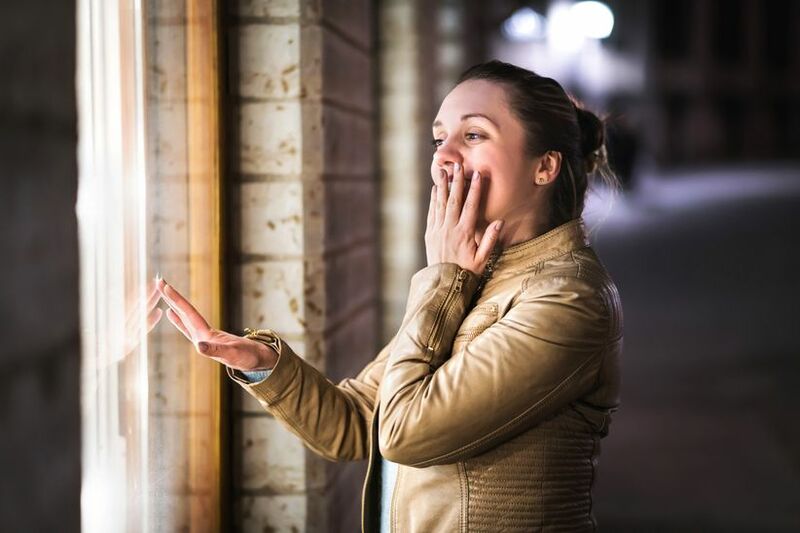 It could be stemming from insecurity, anxiety, doubt—things that, when you work on them (even if it takes some therapy! ), can ease your envy quite a bit. This is news to no one, but Instagram is nightmare fuel for those of us prone to jealousy—even if you don’t feel a hint of ring envy within your social circle, scrolling through #ringselfie after #ringselfie can really get you wondering: Should I have asked for a triple diamond halo? An extra carat? Does my partner love me at all? To that I say: Take a break! Social media can help provide you wedding inspiration as you plan, but no one really need to see pics of giant diamonds every day, and if you find they’re triggering you, mute all of your wedding accounts for a while, or just delete your IG app for a bit. You’ll be able to focus on what’s really important: The amazing relationship your ring represents, and the awesome wedding you get to plan, and once you’re feeling centered again, you can hop right back on. Taking social media breaks throughout the wedding planning process is something every bride-to-be should consider for her own sanity. Remember what your ring represents. You already know this, but it bears repeating—your ring represents your future with the partner you love! So, even if it isn’t one carat bigger or platinum instead of gold, and even if your friend’s is way sparklier, yours is the best because you get to have the relationship that comes with it! When bad vibes of ring envy arise, take a good look at your own ring and remember the feeling you had when you first saw it, and the excitement that you felt when you realized you and your partner were finally engaged. And take a moment to imagine all of the stories you’ll soon attach to that ring—from your wedding day to your honeymoon to your life together with your spouse! Only that ring can mean all of that to you. If you woke up tomorrow with a different one, it wouldn’t hold all of those emotions for you, so, would it really be all that great? Nope! Did your partner design your ring themselves? Is your ring by a designer you’ve been swooning over for a decade? Is your band engraved with a sweet note from your spouse-to-be? Do you love the shape of the stone? 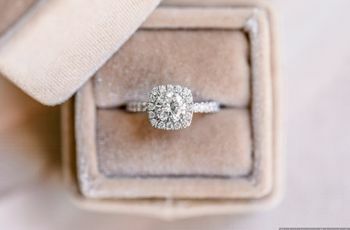 Even if your ring isn’t the most expensive or most dazzling in your friend group, there are still bound to be a few details about it that make your heart skip a beat every time you look at it. Whenever you catch yourself dissolving into a panic of jealousy over your friend’s massive rock, try to focus on those specific details that made you fall in love with your ring right away when you first saw it—and that make it 100% yours. It’s a great exercise to bring you back to being grateful for the stunning engagement ring you have (while still recognizing that, yeah, other rings are beautiful, too!). Imagine yours as an heirloom. If you were proposed to with a family ring or diamond, you probably feel the rush of sentimentality when you look down at it—and an immense responsibility for being the caretaker of such an icon of family history. 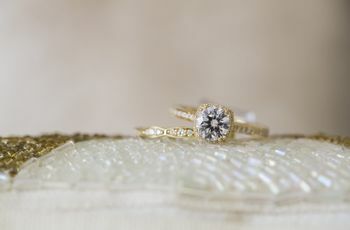 It’s such a special feeling that only an heirloom ring can give you! 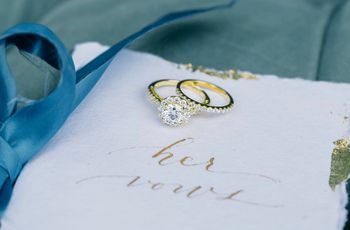 Now, imagine passing your ring on to your daughter or future child’s future spouse—after wearing it yourself for so long, it would be so exciting to pass the stories and history to someone new in your family to carry on the tradition. And then imagine it being passed on for generations and generations to come! Only the ring you’re wearing now can be your family heirloom—not a ring you scroll past on Instagram, or a friend’s diamond—and that makes it worth celebrating. Whether you’re wearing an heirloom piece now, or a new ring that you want to turn into an heirloom for future generations, creating a special bond with your ring by giving it a future is a great way to worry a little less about everyone else’s. Forgive yourself; you’re only human. 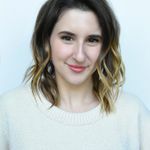 You can follow all of these tips, and still, at the end of the day, your heart will absolutely do a jealous little cartwheel when your bestie shows you her new three-carat solitaire that practically blinds you. 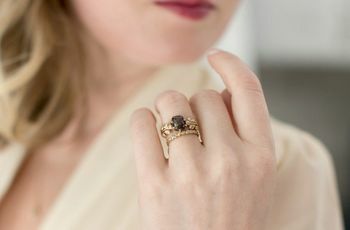 You’re human, and for the most part, these little pings of ring envy are totally involuntary—it’s not because you hate your own ring, or don’t love your partner, or have any ill will toward your friend. So quit judging yourself and beating yourself up when jealousy and comparison does crop up—you’ll only feel worse, and come off as way more jealous than you actually are! Instead, allow yourself to feel that feeling—”Wow, that is an amazing ring! It would be nice to have that!”—then let it go, and reaffirm with yourself that it’s ok to be a little jealous of someone else’s ring and still love your own—“I’d like to have that one, but I’m also so happy to have mine.” This technique gets easier with practice, so be kind and patient with yourself. Ring obsession wears off once you’ve been engaged for a while. And finally, always remember the most important thing: the ring doesn’t make the marriage.